If you are travelling Singair Upazila of Manikganj District then there will be a significant number of options come to your hand for paying a visit. 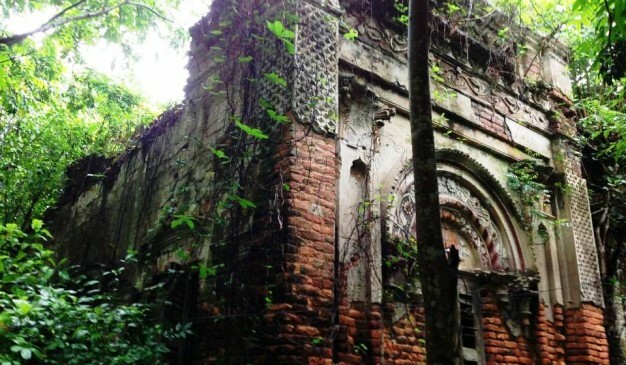 A traveler or explorer who is interested in travelling old houses, then we may suggest whenever you will reach there at Singair Bazar, you would rather take a left turn and cover a distance of around 7-8 km to get there at the old house name Shahrail Boro Bari (সাহরাইল বড় বাড়ি) situated nearby Charigram Bazar. We could not revealed actual history as it is not being well documented anywhere about this Old House. 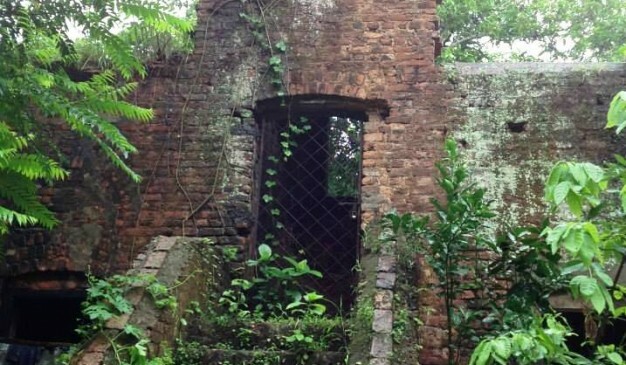 It seems hard for ORB (Offroad Bangladesh) team to recover the elaborate background history of this place until there is any publication or thesis report being found. 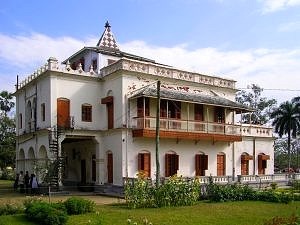 We observed people calling this house a zamindar Palace as it is very common trends in our country to name a Old house Zamindar Bari . 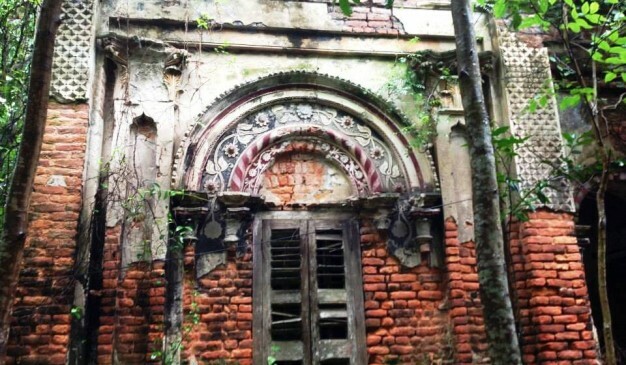 So far our experts team can assume is that this House could be a part of Zamindari estate previously as we have discovered so many palatial houses around the same district. 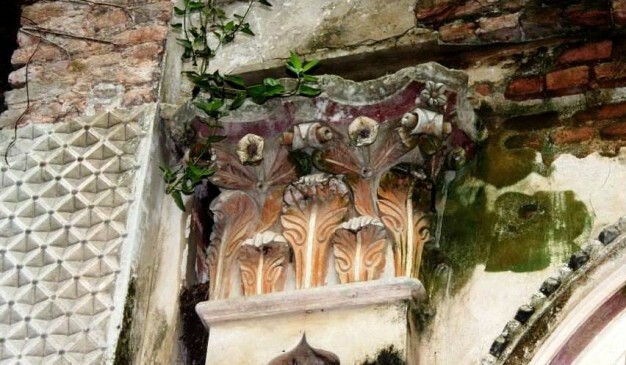 But considering the structure, the building layout, and the decorative patterns that are still visible in open eyes we can say at best, it was possibly the residential block of the eminent officials of the estate. Interviewing the local folks we came to know that this property belonged to two Saha brothers named Ram Mohon Saha and Koushik Saha who allegedly sold off the property to its current owner a former Member of Parliament, before migrating to India. The owner we were told is planning on dismantling the damages and renovating the building. From Singair Bus stand you may ride on a Bus or Shared auto rickshaw moving southward to the Charigram Bazar. After reaching there it just few steps away, you may ask people for the direction of Shahrail Boro Bari . This Upazila is located in between 23°42′ and 23°52′ north latitudes & in between 90°03′ and 90°16′ east longitudes. Once a traveler get to the Manikganj Bazar Bus Stand then he/she will find so many options to move toward Singair Upazila from there. It is nearly 20 km South-east from Manikganj Sadar. There are no hotels to stay at night in Singair Upazila. There is one Dak Bungalow, but you need prior permission to stay at there. 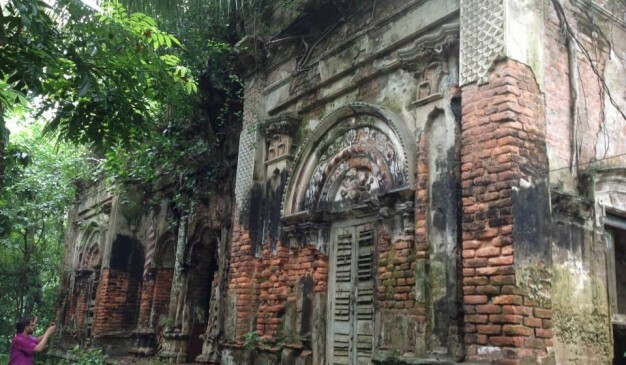 There are a significant number of Historical & Archaeological sites all around the Singair Upazila. So it would be wise to make an Itinerary before visiting this Upazila. There are very limited options to find fancy Restaurants & Hotels nearby the House. You can search for local hotels Shahrail Bazar. Also, referred to where to eat at Manikganj Sadar. Boro Kuthi is located in Shaheb bazar of Rajshahi town. 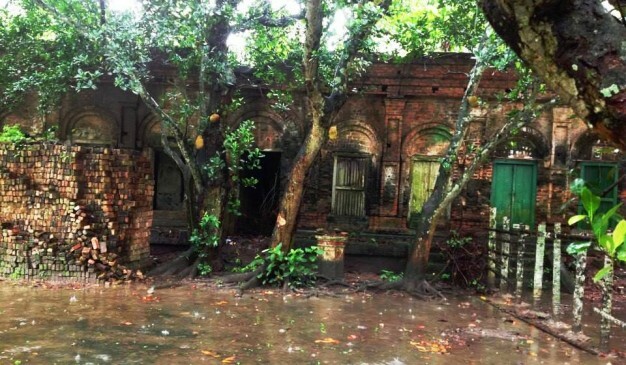 An attempt was taken by Rajshahi City Corporation for turning the historical Dutch building into a heritage sight. There are 12 rooms here and it is 2 storied. Dutch and British traders used it for trading silk. After demise of Nawab Sirajud Dowla in 1757 it was bought by East Indian Company. Later it was sold to Robert Watson and Company. After 1947 partition Government used it as their supply center. In 1953 it was taken over by Rajshahi University. Previously, the actual color of Khelaram Datar Kotha (খেলারাম দাতার কোঠা) was reddish (first three photographs added). 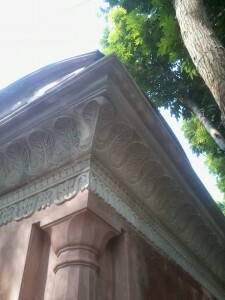 But after a renovation done by the Department of archaeology, it is colored white now. 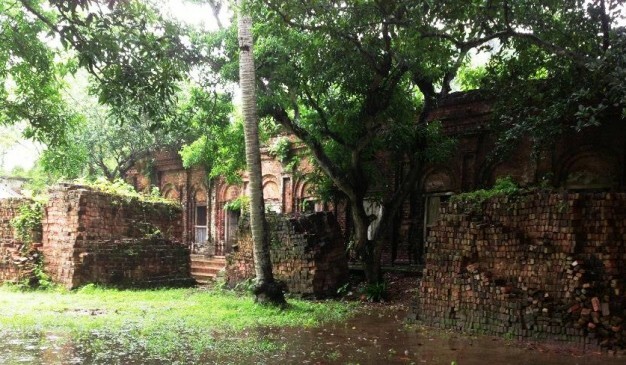 Possibly the most intriguing, interesting and uniquely confusing archeological structures of Nawabganj is the Khelaram Daata’r Kotha, which has recently been renovated. Yet they have not put up a sign board describing the building. It is confusing, who was Khelaram? What was he known for? What is this building all about? What is the story behind it? When was it built? One could come up with several such questions, but apparently there isn’t much available documentation. It’s hardly possibly to rely on local folklore, as that is far more fiction than facts. 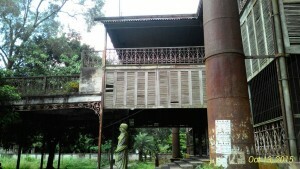 To start with some confusion, some say the name of the founder of this structure was Khelaram Dutta, Banglapedia mentions him as Khelaram Dada, while the locals say he was known as Khelaram Daata. According to Banglapedia he was a Zamindar, but the locals claim he was a dacoit. Since Banglapedia mentions nothing about him apart from naming him as Zamindar Khelaram Dada. So, there isn’t any other way except relating oral history along with the information of Banglapedia. Some 200 years ago, there lived a ferocious dacoit named Khelaram, who was dreaded by the rich, but loved by the poor, because similar to Robin Hood, he generously donated much of his spoils from each mission amongst the poor people. Hence he was known as “Daata” the beneficent. But he still retained quite a bit and needed to store the loot. So he built this structure consisting of many rooms just overnight (within a short time). The building had five floors (it now has only two) and the roof had a large tank. There still is a large pond nearby. 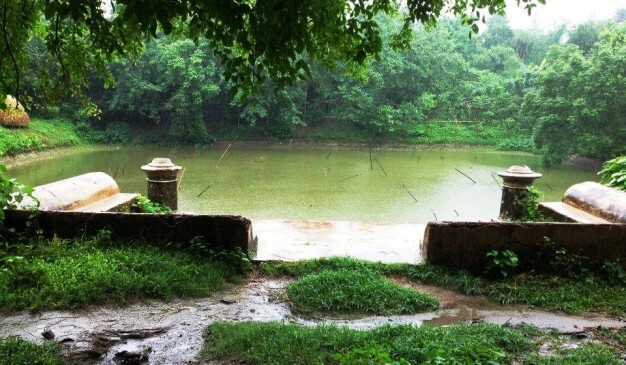 Poor people had to come to this pond to bathe, and anything they asked for was granted. Khelaram was extremely obedient to his mother. She once wanted to drink some milk and eat some ripened bananas, so Khelaram arranged the rooftop tank to be filled to the brim with ripened bananas and pure milk, so she could swim there and eat and drink to her heart’s content. But one day something Khelaram did severely angered his mother. She sternly rebuked and cursed him and then left for a bath in the pond. But as soon as she left the building, three floors of the building simply sank into the ground, leaving only the top two floors to be seen over the surface. Khelaram was not seen any more from then. Some believe he got trapped in one of the lower floors. Some believe he drowned in the pond, trying to save his mother. Within a short time, all his belongings got stolen, leaving behind just an empty house.